Ch4 00 – My Hero! 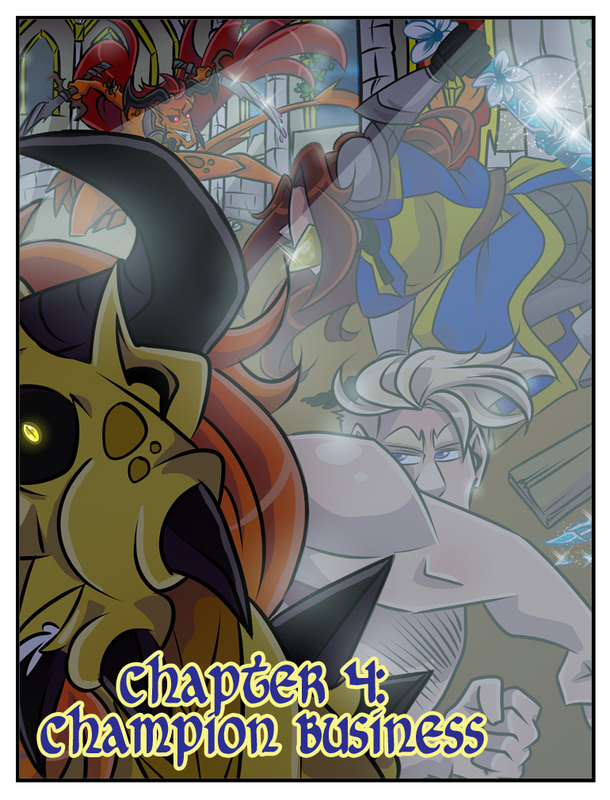 Chapter 4 begins! Who are these two Abyssals who seem to have engaged our heroic duo? Let’s find out! New members have joined Spider Forest, check out the first slew of comics! Heart of Keol: Ethan is a young man with a broken family. After an encounter with a mysterious child, he wakes up in a strange world that looks a lot like ancient Korea—except with magic. Even with all this frenzy happening around him, he can’t seem to shake off his family baggage… Tistow: Small Trolls: Jáhko and Veeti live out daily adventures in the nearby woods, helping fairies build houses, outwitting monsters, gathering seeds with trolls and helping wisps grow saplings. Under the guidance from Jáhko’s grandmother and the woodland spirits, the boys will learn the ways of the shaman and to respect nature. Children of Eldair: Koe finds a young woman held by demons, kidnapped from Earth and brought to his world by fairies. Can he help Embera get back home, and will his own world survive the journey? So, are Abyssals the biggest Threat in this world? Or will Lark fight other species later in the comic? Also, a bit unrelated, can somebody tell me why RSS feeds don’t appear shortly after the comic update is live? As I recall, there was something about the Abyssals being loose cannons, including the Abyssal representative on the Guardian Council being suspended. I read Theburningcloud’s second question (not the first one – for some reason I skipped the first half) and then I read your response. It was glorious… kinda trollish, but glorious nonetheless. Your updates always arrive, just a bit late for my taste. Though, after some Google searching, it’s either simply the nature of RSS or because I use the free version of Feedly (I suspect latter, as they advertise faster contents on the Pro version (‘-_-) ). So it’s nothing on your side I’d say. Hrmmm… Pay for a pro version of the RSS feeder whose job it is to update you when something is updated? Isn’t that like, keeping your mail a little bit longer because you didn’t option the ‘express’ delivery and they have the parcel anyhow? I think it’s probably more like the mailman checks for new mail more often when you pay for the pro version, as RSS feeds are pull based. Feedly has to regularly check the feeds themselves, they don’t get notified by it. Has Lark’s curse gone on steroids? Has he previously needed to defeat two monsters at a time? If so, no wonder he has using up Guardians! But if not, then what has Hasera loosed, by fighting that Wyrm and surviving? Stay tuned, folks! Same Champion time; same Champion channel!